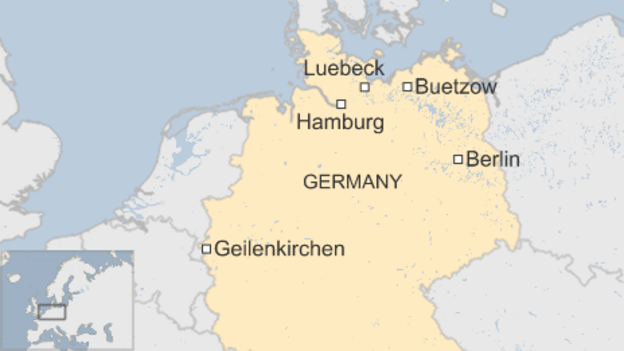 Buetzow, near Rostock in northern Germany has been badly damaged by a tornado that was triggered by violent storms which have left at least one person dead. Witnesses say that cars were hurled 70 m (230 ft) and roof tiles blown off buildings, including the local hospital. In the city of Hamburg, a man was killed and his pregnant girlfriend hurt when flying debris hit their car.